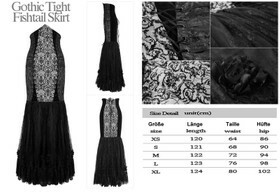 Precious high waisted long gothic skirt by Punk Rave. Long underbust. Multi-layered, floorlength skirt. Gorgeous silhouette. Precious waisted long goth skirt by Punk Rave. Long underbust fake cincher part, giving the impression of an old-fashion long corset over the tummy. Front and back with black velvet lace flock on grey fabric, partly with gauze layer. Multiple lacings and black velvet contrasts. Satin lining. 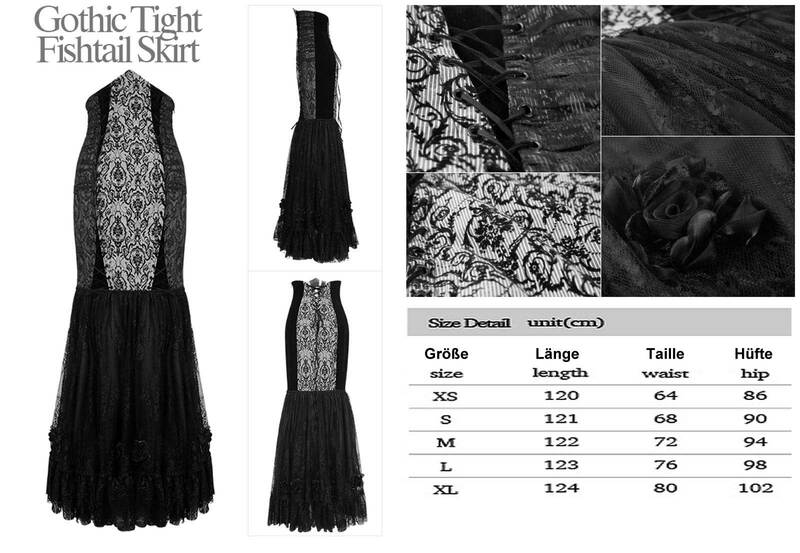 Multi-layered, floorlength skirt part down from the knees with lace, tulle and satin lining. 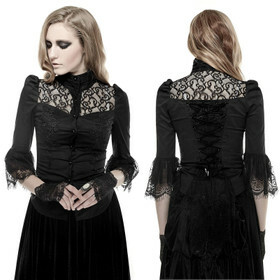 A gorgeous goth skirt, fits perfect to ruffle blouse tops for perfect female silhouette.